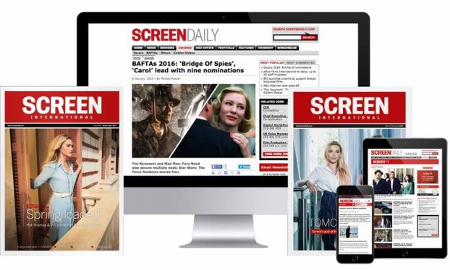 UK regional screen agency EM Media has added several new boardmembers: film-maker Stephen Frears, TIGA CEO Fred Hassan, Lincoln University professor John Simons, consultant Barbara Benedek and ITV Central'sMike Blair. Alison Ford, head of journalism at BBC Nations and Regions,has been appointed chair of the board. She replaces Ian Squires, who isstepping down after serving four years as chair of the agency. Ford willrepresent EM MEDIA regionally and nationally. The new additions join existing boardmembers Michael Eaton, Katie Conley and Chris Hughes. "Iam thrilled to welcome such high calibre industry professionals to the Board ofEM Media," said Debbie Williams, chief executive of EM Media. "They bring withthem a wealth of experience and industry knowledge in addition to a realpassion for supporting and developing the work of EM Media. They are assetsboth to the agency and its ambitions for film and media in the East Midlands and will fully complementthe existing board and staff team." The agency, based in the East Midlands,recently received $11m (£6m) in funding for the next three years.